Like most quartets, the Artemis has changed membership over the years, but it suffered a particularly severe blow earlier this year with the death of the violist Friedemann Weigle, aged just 53, after a long illness. 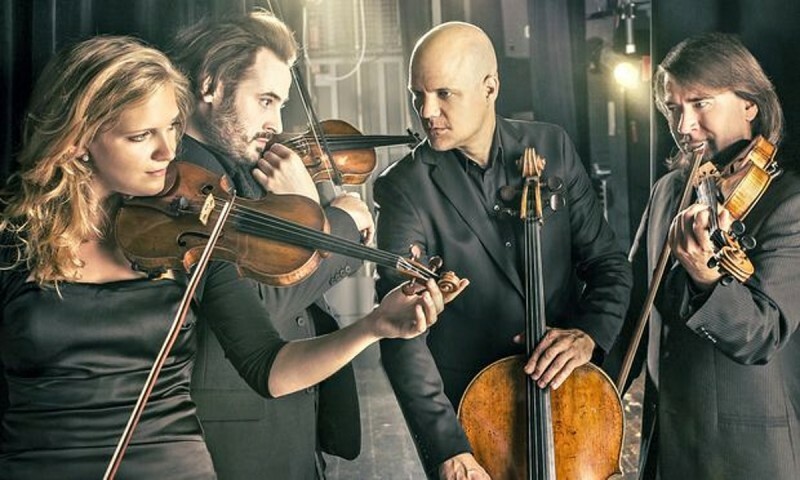 This disc of Brahms has become a memorial to him; all the more apt and poignant for the inner parts of these string quartets, which glow and pulse with the love of inner parts that is such a personal characteristic of Brahms’s music. From the quick vibrato of the opening to the viola’s pure tone that leads to the second subject just ten bars later, the Artemis give us a Brahms of and for our time, inevitably informed by their work on Bartók and Ligeti just as much as late Beethoven. Even the time taken over that second theme, the first violin’s expansive freedom over his cadenza at the end of the exposition and the suspense hanging over their tentative passage into the development are ‘natural’ expressive devices that have nonetheless swung into and out of fashion ever since Brahms didn’t write them down but left them up to the good taste and sense of his musicians. You can read the rest of my review in this month’s Gramophone, which made the disc an Editor’s Choice. Posted on October 15, 2015 by Peter Quantrill	This entry was tagged Artemis, Brahms, Gramophone. Bookmark the permalink.